It’s easier to raise healthy kids than fix broken adults. This simple concept is what drives our dedication to pediatric chiropractic care. 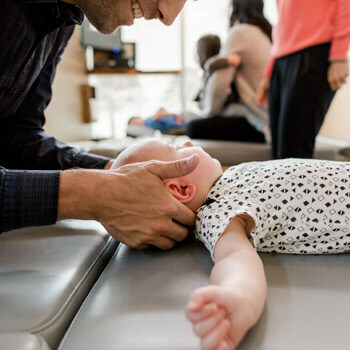 At Optimum Family Chiropractic, we want to ensure your child has the best possible start in life, growing and developing properly thanks to an optimally functioning nervous system. We love getting high fives from our youngest clients after their visits with our caring, friendly, kid-oriented team! When you look at your life’s journey, the beginning was your birth and childhood. Imagine your life’s trajectory as a compass. If you were to change your path by one degree, it might seem like nothing. But taken over time, you could end up in Antarctica when you meant to have Hawaii as your destination! 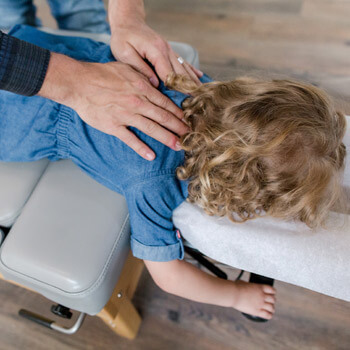 Chiropractic care for kids can be thought of in the same way: the earlier in life we catch these small deviations from optimal health, the easier it is to get them back on track. Why should I take my children to your practice? Dr. Gil, Dr. Marie and Dr. Emily are all trained with a high level of experience in pediatric chiropractic. We see many children and have a deep understanding of how best to help them. Our environment is built for their enjoyment; our technology is adaptable to children, and our techniques suit their specific needs. 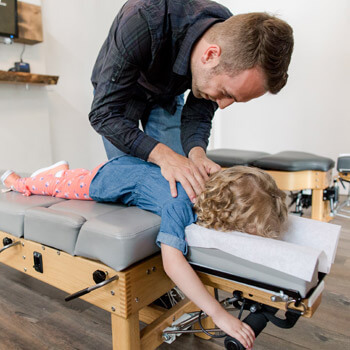 Our support team is happy to keep an eye on your little ones while you or another one of your children is being seen by the chiropractor. You might even think we’re a daycare when you walk by our office! Why would a child need to see a chiropractor? The nerve system of the body affects motor and brain development and your child’s ability to reach their milestones at the appropriate time. Whether it’s coordinating emotions, digestion or immunity, every system in the body can be balanced and adapt to stresses with the help of chiropractic care. What if my child is nervous? Kids who are new to our office are usually put at ease by seeing other children in our environment. If they’re hesitant, we’ll ask them to help us adjust a teddy bear, or they can watch another child be adjusted and speak with them about it. 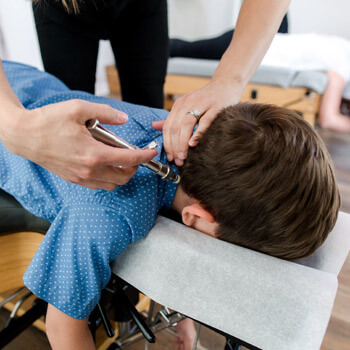 Looking for pediatric chiropractic care in Port Moody? Contact us today to schedule an appointment with our team!